Amino XL is a combination of essential and important amino acids in a sustained release tablet and may assist in the prevention of nutritional deficiencies. Amino XL may be beneficial during times of stress and may assist in general well being. 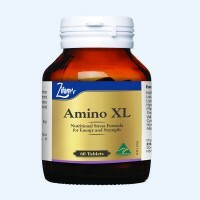 Amino XL is a good source of energy and strength.